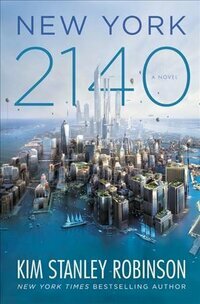 Forum Post: New York 2140 .... A shameless plug for a good book. "Early in New York 2140, two boys jump into their inflatable boat to begin the day's business, scavenging through the canals of a half-drowned New York. Since the weight of the engine threatens to sink the stern, the older boy sits up front to balance it out....."